Is Puerto Vallarta Safe for Tourists? Uncover the facts! With all the recent media hype about the drug wars along the US/Mexico border, new travelers to Puerto Vallarta want to know: Is Puerto Vallarta Safe? Simply stated: Yes! Puerto Vallarta, Mexico is absolutely safe for the hundreds of travelers arriving every day for vacation. Puerto Vallarta is also a safe place to live for the many American, Canadian and other international expats who now happily call Puerto Vallarta their home. In Puerto Vallarta crime is extremely low, consisting primarily of infrequent occurrences of petty theft. Although no elaborate precautions need be taken in fear of pickpockets, certainly don’t walk around with large sums of money, or pull out a big wad of cash in a busy public place. Just employ good common sense and situational awareness during your Mexico vacation, the same as you would anywhere. And for tourists it should provide a level of comfort to know that Puerto Vallarta, Mexico is much less dangerous than the average American city. Most American expats report that they feel much safer here in Mexico than they did when living or traveling within the United States. The drug and gang violence you hear about in the media is primarily concentrated in the cities along the US-Mexican border. When driving to Puerto Vallarta from the border, it’s a very lengthy 2-day drive. Because Puerto Vallarta is located so far away from the border, the US/Mexico drug wars have not affected Puerto Vallarta or any of the areas around Banderas Bay. When the whole country of Mexico is painted with one broad stroke, it’s similar to saying visitors to the United States should be concerned about traveling to Martha’s Vineyard because of gang violence in the west coast cities of Los Angeles and Oakland. And here’s some additional food for thought: Travelers to beautiful and sunny San Diego, CA arrive in droves every year to enjoy the beach, SeaWorld and the San Diego Zoo. Not many travelers stop to ask if San Diego, CA is safe. Yet San Diego, CA is right on the US/Mexico border. Is Puerto Vallarta Safe for tourists? Absolutely! 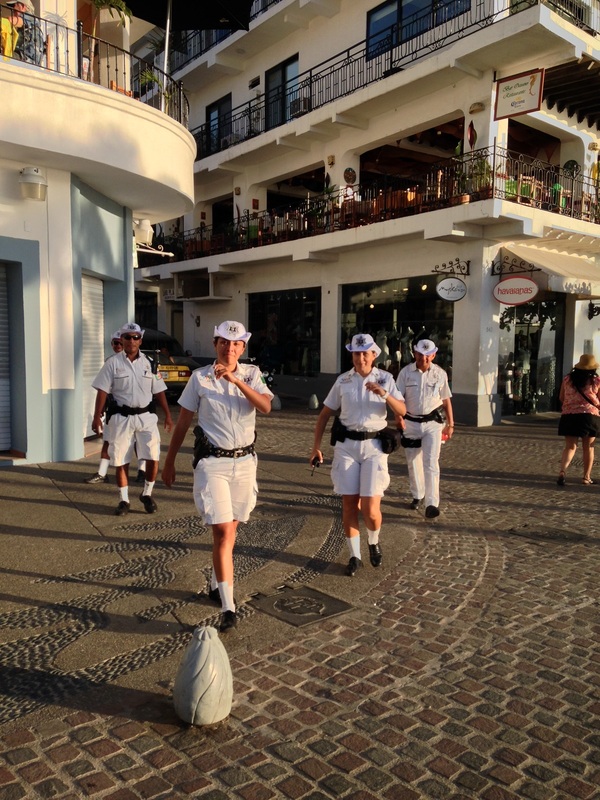 Plenty of super helpful and friendly tourist police are ready to assist visitors along the beautiful Puerto Vallarta Malecon. Puerto Vallarta is a safe tourist destination. To directly address the question: Is Puerto Vallarta safe? In 2011 and again in 2012, the Puerto Vallarta Tourist Board hired prestigious global investigative security firm Thomas Dale and Associates (TDA) to provide a comprehensive “Tourist Threat Vulnerability Assessment,” investigating and assessing the safety and security of the entire municipality. The firm’s study focused on the tourist visitor who has concerns about relative safety. The emphasis of the investigation was on actual crime and the potential for crime, to include an analysis of specific aspects which directly affect tourists. The coverage of this extensive study included threat assessment, medical services, law enforcement and traffic conditions. The resulting appraisal discovered that the most common offense in Puerto Vallarta, Mexico is public drunkenness. And the most serious crime was determined to be residential burglary, followed by auto theft, with the most serious of these crimes occurring outside the tourist zones. The investigation revealed that within the first six months of 2011 there were two reported deaths of Americans: one was a maritime accident, and the second was a drowning. The TDA’s final report focused on the tourist concern “is Puerto Vallarta safe?” in regard to a number of different safety issues. Their report included the fact that Puerto Vallarta, Mexico has three state-of-the-art medical facilities with trauma centers. Of these three hospitals, Ameri-Med Hospital near Marina Vallarta is the best equipped. 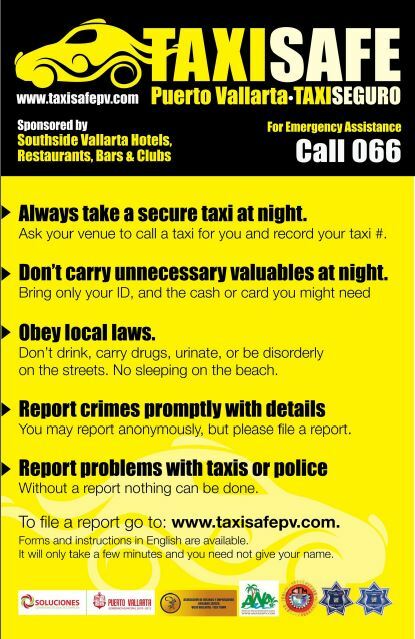 An important safety feature highlighted in the report is that Puerto Vallarta, Mexico provides its city with a Safe Taxi Notification System where anyone who is the victim of a crime or who has witnessed a crime can report it to a taxi driver who will report the event to their call center which reports the incident to the Police Emergency Call Center by dialing “911” (which is the same as diling 911 in the U.S.). The report also praised Puerto Vallarta for having 2 police officers for every 1000 persons, twice the Mexico national average for number of policemen. This enables the Puerto Vallarta police department to provide extra security in the tourist zones and have officers available to assist visitors. The TDA study concluded that Puerto Vallarta, Mexico is one of the safest international destinations for tourists and expatriates alike. The comparative analysis figures for 2011 are taken directly from the TDA report. Is Puerto Vallarta Safe? Compare PV with another popular tourist destination. An actual danger in Puerto Vallarta is from its land sharks. These are Puerto Vallarta’s many large public buses, taxis and vehicles that barrel through the streets at fast speeds. Always use caution when crossing streets as pedestrians do not always have the right of way. Other dangers around Banderas Bay involve swimming. Never swim by yourself, or without being under the supervision of a trained lifeguard. Travelers should also note that the surf is rougher in the days following a rain or thunder storm, so proceed with caution after bad weather. If you plan to hike or walk up into the jungle, wear long pants and closed-toe shoes to prevent possible injury from snake bites or scorpions. Bring bug spray for the evenings, and always wear sunscreen during the day. Avoid walking alone on the beach at night. Puerto Vallarta’s police department has zero tolerance for tourist abuse by any member of its police department, such as the asking of bribes during traffic stops, etc. Tourists are encouraged to report any incident of abuse ASAP by dialing 088. Any offending police officer will be dealt with swiftly. Puerto Vallarta, Mexico prides itself in being a very safe place for tourists, and the government (Internal Affairs Department) wants tourists to know that they are stepping up efforts to battle police corruption and improve the image and reputation of its police force. The answer to the question: Is Puerto Vallarta Safe? is a resounding YES! 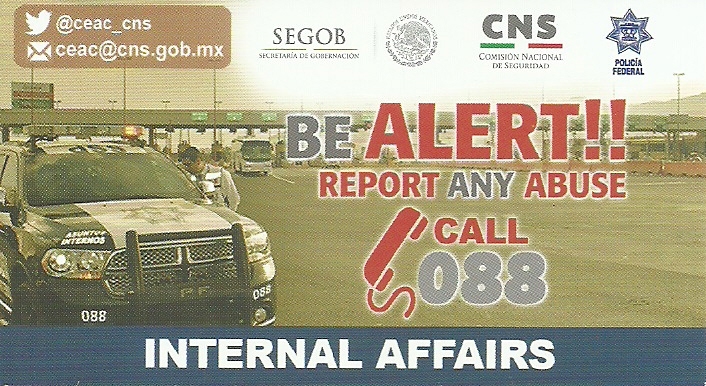 For more information about safety in Mexico, please visit this comprehensive site: www.thetruthaboutmexico.com. Here you will find numerous informative articles, postings and links written by expats, primarily Americans and Canadians, who actually live in Mexico and have made it their adoptive home. Learn what Mexico is really like, and how safe it is to live and travel in Mexico. Nonetheless, it is advisable to check current U.S. State Department international travel advisories before heading to any foreign country or location. All of us, no matter what country we live in, can be a victim of crime in our own neighborhoods, our hometowns, or abroad. In Mexico exercise reasonable caution and employ good common sense just as you would when out and about in your own city and state. ADDITIONAL RESOURCES: IS PUERTO VALLARTA SAFE? Vallartavaily.com: Is Puerto Vallarta Safe?